A-line skirts are on trend right now apparently. 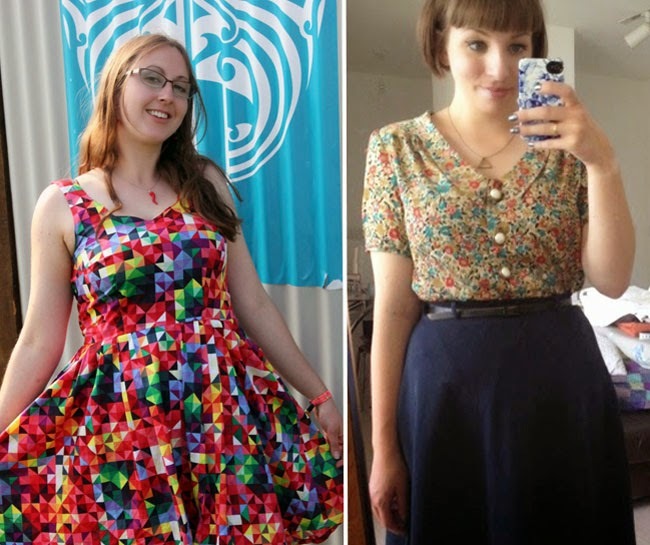 And these ladies are rocking their homemade Delphines (the pattern included in Love at First Stitch). I love the button placement that Helen went with for her chic and classic version - WANT! Ela made a little fabric belt to go with hers - how cute is that? Amy made this stunner of a Lilou dress (also from Love at First Stitch) to wear to Bestival music festival. The fabric is incredible! I wouldn't have thought to make the scallop neckline in a geometric print, but the contrast of bold design and softer lines really works. Shauni's on a roll with her sewing, and I love everything about her Mimi blouse, especially the way she's styled it. 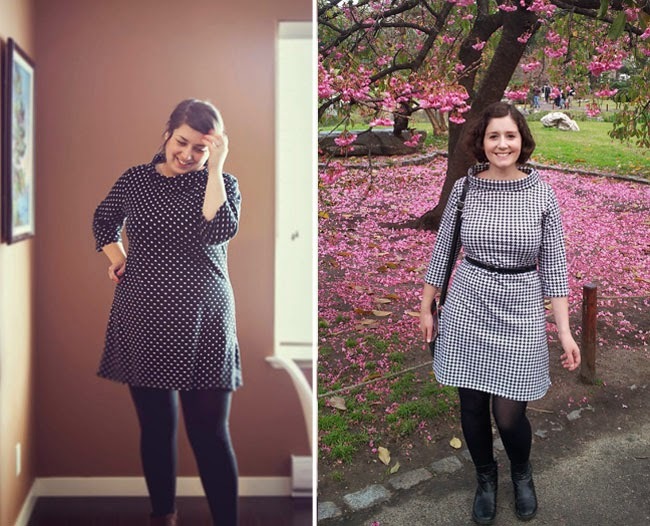 It's starting to turn Autumnal in London, and I'm dreaming of making some snuggly funnel neck Coco dresses. These ones by Shannon and El are so lovely - chic and wearable is a win. 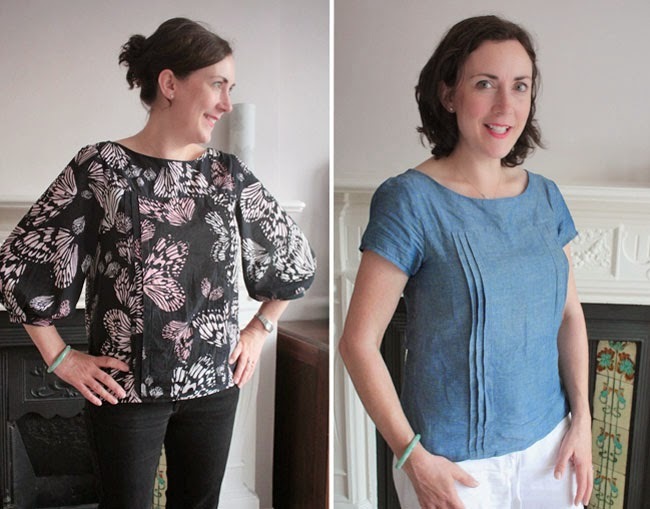 Rachel made two beautiful versions of the Mathilde blouse - the original design in this butterfly print fabric, and a short sleeved version in chambray. In other butterfly news, the Clueless Seamstress doesn't seem so clueless in her pretty Megan dress (pattern here). And did you see this combo stitched by Fiona? 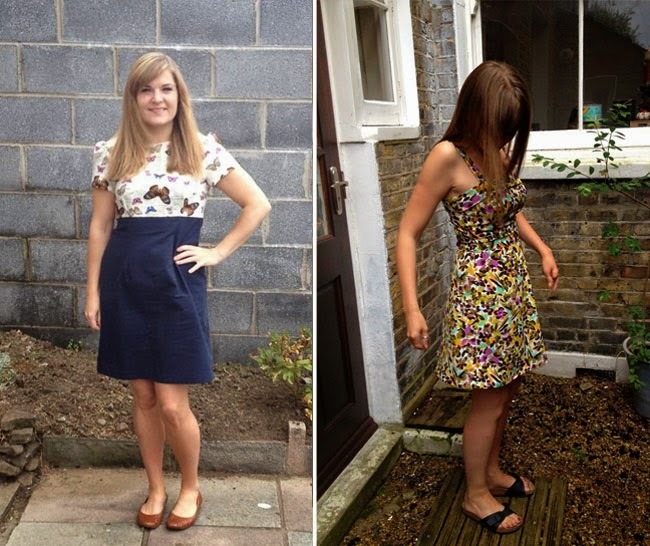 She made a Miette skirt as a cover up for her By Hand London Holly playsuit. Adorbs! Coco tops ahoy! Sometimes all you need is a speedy make and a casual fit top to make you smile. Here's Winnie modelling her nautical Coco top in Cornwall. 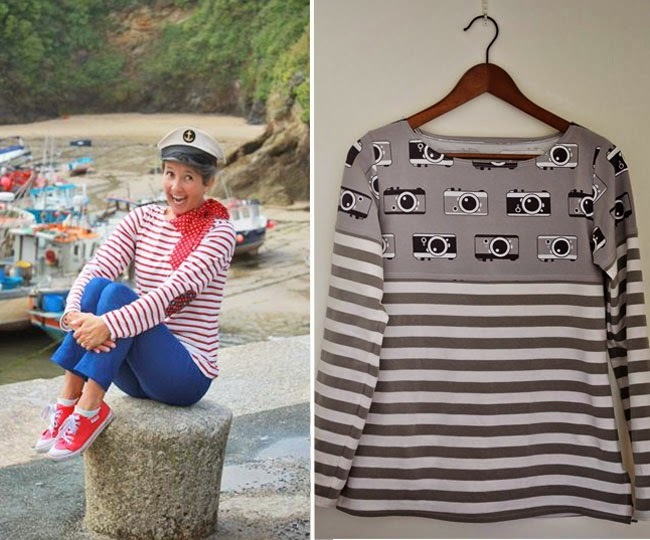 Janet found this amazing camera print for her Coco - here's a how-to on making a contrast yoke version. 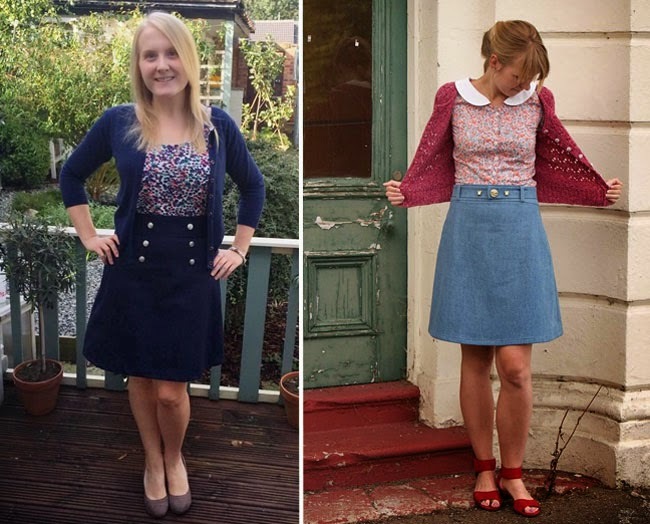 Loads more lovely sews to swoon over in the Maker Galleries on Pinterest. If you've made something with a T&TB pattern that you want to see up there, just tweet me a pic or send us a link through this page. Occasionally I see something flash by in my Instagram notifications but unfortunately they often disappear before I've had a chance to look properly and I can't Pin from Instagram, but do know that I'm looking and loving!